So when you don’t want to cook on every day of the summer that begins with 9+º’s. 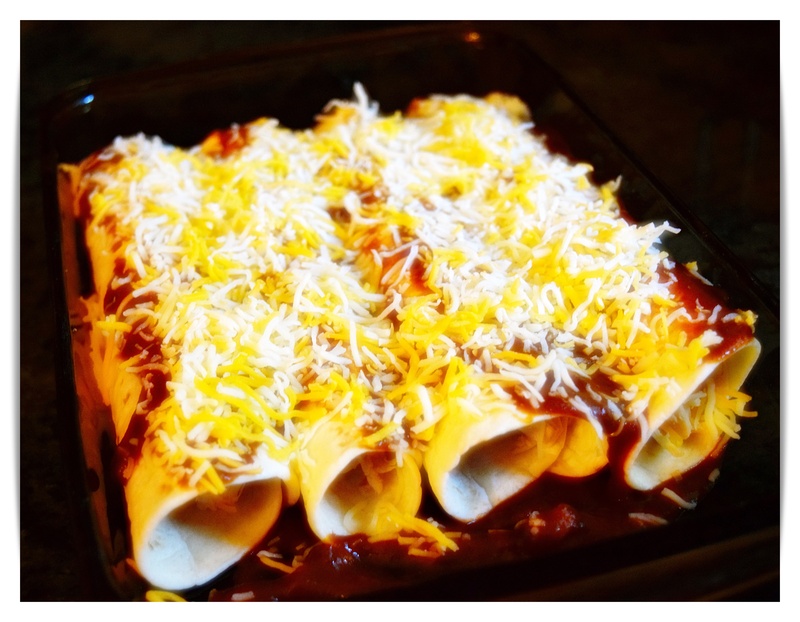 I have a great simple enchilada recipe that calls for a rotisserie chicken homemade or from the store and a simple enchilada sauce that uses ingredients you should have on hand, onion, garlic, tomato sauce, chili powder, flour salt pepper and maybe one dried chip for a bit of heat. Most of the dried chilies in the Mexican section of the store will show the level of heat on each package so be sure pick what suits you mild, mild hot or hot. Toast 1 chili in a hot pan until fragrant, remove to a bowl and pour in boiling water to cover and allow to soak for at least 20 minutes or until completely soft. 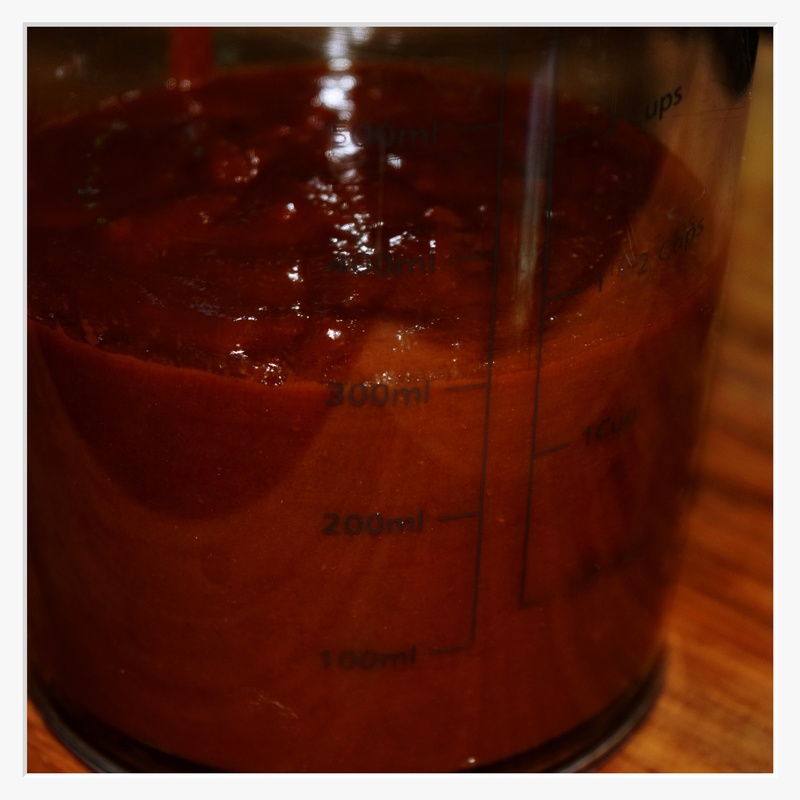 Reserve 1/2 cup chili liquid. Use the entire chili if it is a mild one, but if not cut off about 1/4-1/2 and finely chop with 4 cloves of garlic and 4 tablespoons minced onion, blend and reserve until time to add to the “roux”. I had a good blend of chili powders so I started with little of each to equal bout 1/4 cup mixed into 3 tablespoons of flour, heat 3-4 tablespoons EVOO and stir in the flour and chili powders. Whisking constantly for a couple of minutes, add pepper, onions, and garlic, stir and pour in 3/4 cup to 1 cup chili liquid. It will thicken somewhat, add 15 3/4 ounce can tomato sauce, stir adding in more liquid to thin (chili liquid or vegetable broth) if necessary, simmer for 5 minutes or so, checking the thickness to suit your taste. Set aside while making enchiladas.